Aero Express is the only US Authorized Distributor for the Malabar Model 8939 25 Ton Axle Jack for Business Jets. The Model 8939 Axle Jacks is a 25 ton capacity single stage hydraulic jack designed for use in aircraft maintenance. 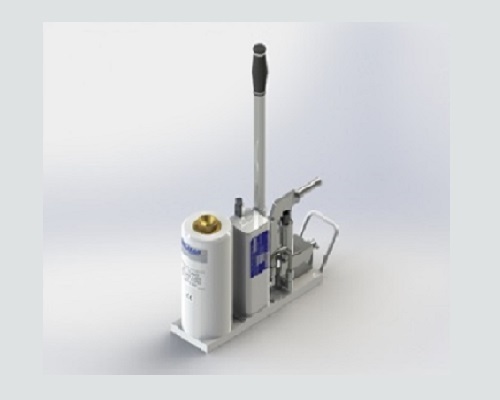 It consists of a single stage cylinder assembly, hydraulic reservoir, and hand pump. A lifting handle is also supplied for ease of handling. The model 8939 is build to withstand harsh environmental conditions and rugged use, and to provide many years of continuous service. Our customers are guaranteed a quality product with each purchase and are assured of our continued product support whenever and wherever the need arises.